Hon. Lazaro Nyalandu, MP, Tanzania’s Minister of Natural Resources and Tourism joined by Mr. James Lembel and Allan Kijazi, Director General, Tanzania National Parks presented the Best Tour Company Annual Award, Zainab Ansell the Director of ZARA Tanzania Adventures & ZaraTours awarded the 3rd Prize in Recognition for its outstanding business contribution (‪‎GameSafaris) in Lake Manyara National PARK for the Fiscal year 2013 – 2014. 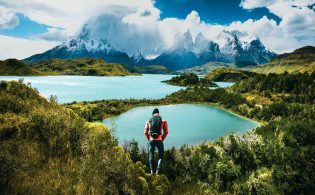 At ‪ZaraTours we are very thankful and appreciative for the recognition, We therefore dedicate the prize to all our clients and partners. 2014 – Zara’s Ikoma Wildcamp awarded Certificate of Excellence by Trip Advisor. 2012 – Zara’s owner, Zainab Ansell, received Business Entrepreneur of the Year Award for running a successful Tour Operating Company. 2012 – Zara presented with Humanitarian Award in London at the World Travel Market (WTM). 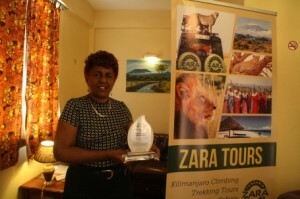 2012 – Zara Charity received the Ngorongoro Marathon Award for organizing a successful race to fight Malaria. 2012 – Zara won Tours Football Bonanza Cup. 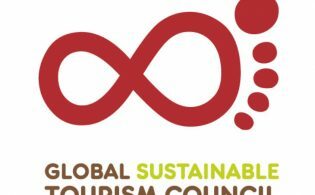 2011 – Tanzania Tourist Board (TTB) presents Zara with Sustainable Tourism Award.